Contrary to popular belief the 1970s have returned. I can prove that statement in pictures. First, let's take a look at a few ways the 70s have not returned. 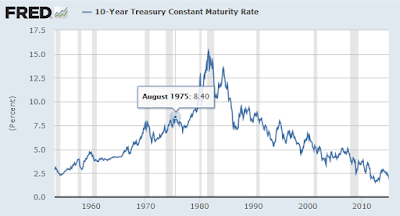 In the mid-70s the 10-year treasury rate was 8.4% on the way to 15.32% in September of 1981. 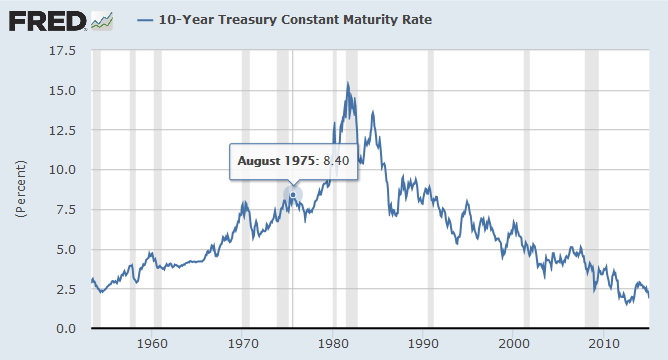 Today, we see a very un-70s-like rate of 2.24%. 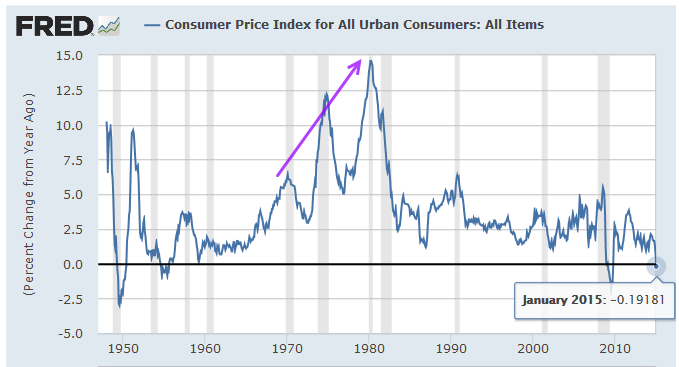 We did not see much CPI action that looked like this in the 1970s. 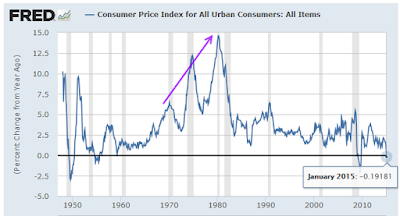 Please note both of the above CPI measures are negative compared to a year ago. 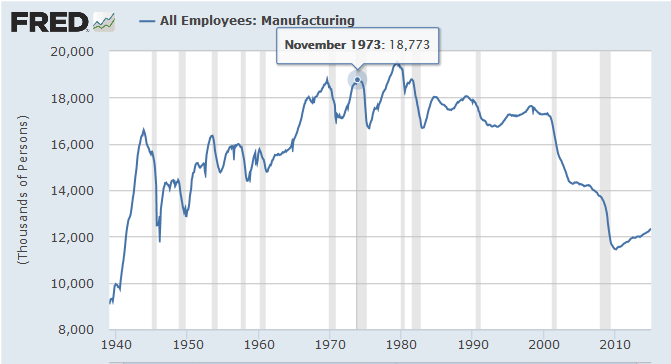 Manufacturing employment was close to 19 million in late 1973 and early 1974. 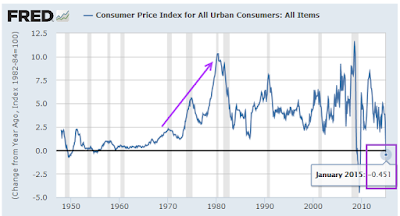 It peaked near 20 million in 1979. 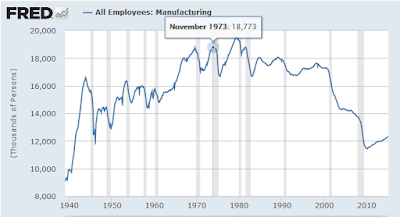 Manufacturing employment is now about 12.3 million. Closer scrutiny shows none of the following is anything like the 70s. I did find one set of images however, taken yesterday, that are very 70s-like. 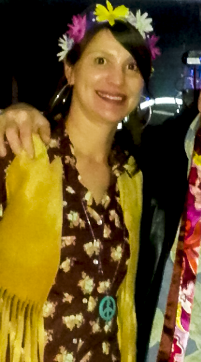 Heidi is a karaoke host at two local places we frequent: The T-Bar on Roberts Road in Island Lake on Saturdays and the Riverside Pub on IL-176 in Burtons Bridge on Friday. 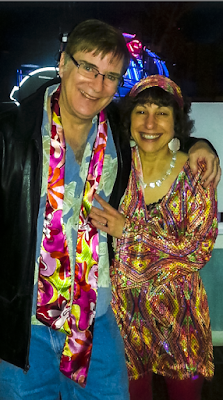 Heidi sponsored a 70s only songfest last Friday. Thought I would share some 70s flashback silliness taken with someone's cell phone.